Ravda (Bulgarian: Равда) is a coastal village and seaside resort in southeastern Bulgaria, situated in Nesebar municipality, Burgas Province. Ravda is a small seaside resort on the Black Sea, located 3 km from Nesebar and 5 km from Sunny Beach. 30 km from Bourgas airport. The position on the Bulgarian Black Sea Coast provides for the nice weather, quietness and calmness of a country village and the proximity to the attractive resorts Nesebar(world heritage site) and Sunny Beach offers plenty of attractions and entertainment possibilities. Ravda has ecologically clean air and water because the resort is far from the big cities and industrial zones. There are no dangerous species such as sharks, poisonous jelly-fish, scorpions, killer snakes, venomous spiders, or flies. There are regular bus lines to the other resorts in the area — every 30 minutes to Burgas and every 20 minutes to Sunny Beach and Nesebar. Ravda's postal code is 8238, the telephone area code is +(359) 554, where (359) is the country code. 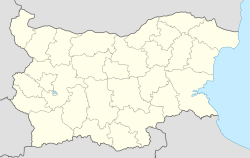 As of 2005[update] the village has a population of 1,745 and the mayor is Lyubomir Damenliev. It lies at 42°39′N 27°41′E﻿ / ﻿42.650°N 27.683°E﻿ / 42.650; 27.683, at sea level. Ravda Peak on Livingston Island in the South Shetland Islands, Antarctica is named after Ravda. This page was last edited on 18 June 2018, at 06:13 (UTC).